ADC Archives - Page 3 of 3 - Annapolis Micro Systems, Inc. 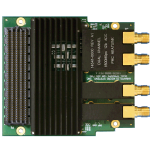 The 2.5 GSps 10-Bit ADC FMC provides high fidelity and high speed analog-to-digital conversion along with a rugged design. 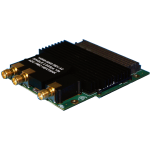 The Dual 1.8 GSps/Single 3.6 GSps ADC FMC provides high fidelity and high speed analog-to-digital conversion along with a rugged design.